A relay is an electronically operated switch that is used to control an electronic circuit by a separate low-power signal. Relays use an electromagnet to mechanically operate a switch which is either breaking or making electric circuits by their output section. A large number of relays used in electrical applications where one electric circuit is being energized by the presence of a specific voltage that is actually provided by another circuit. Some of the common used relays in various industrial applications are signal relays, PCB power relays, solid state relays, and automotive relays. Signal relays are used for low level current switching, often below 2 ampere but up to 40 ampere. Communications, AC control, security, measurement & control equipment, automotive devices, and audio visual devices are some of applications of signal relays. Stable contact resistance, Form C contact arrangement, and a fully sealed construction, are some of the characteristics of single relays. Commonly known as SSR, this relay is electronic switch with no moving parts and that has the same use as an electromechanical relay. It consists of a sensor that responds to a control signal, a coupling mechanism and solid state electronic switching devices. The offered SSR is used for switching power to load circuitry. Automotive relays are used to enable a low amperage circuit to switch a higher amperage circuit on or off. 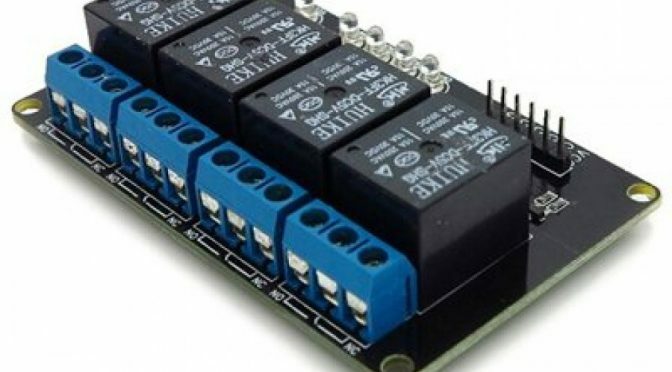 These relays allows item to switch at the same time by using a single output. It uses an electromagnetic coil to close or open a circuit. Some of the common applications of power relays are automotive electronics, audio amplification, telephone systems, home appliances, and vending machines. Are you looking to purchase high quality relays at most competitive prices? If yes, then you can get in touch with Express Technology. You can rely on express technology to be a supplier of high-quality relay. In order to ensure that the quality of the relays is maintained as per international quality standards, Express Technology has made association with some of the reliable manufacturers of different types of relays. Relays are delivered within promised time frame and with standardized packaging to the customers by Express Technology. We have appointed a team of experienced logistics professionals and have a wide distribution network, in order to ensure that ordered relays are delivered within promised time frame at the clients’ end. Relays from reputable brands such as Omron, Panasonic, and TE Connectivity can be also purchased at competitive prices from Express Technology. In order to maintain high standards of quality and durability of these relays, Express Technology has a rigorous QC inspection in place, along with maintaining an appropriate storage in our ESD and Controlled Environment warehouse. Let Express Technology be your primary supplier for all your relay needs! With 15 years of experience in the technology industry, you can rely on Express Technology Group to be your most reliable supplier of Electronic Components. Our unique market insight sets us apart from the competition. We have customized supply chain solutions to help your business run effectively. Track the Latests News and Offers from Express Technology. Sign up for our newsletter and offers! © 2014 Express Technology Group. All rights reserved.